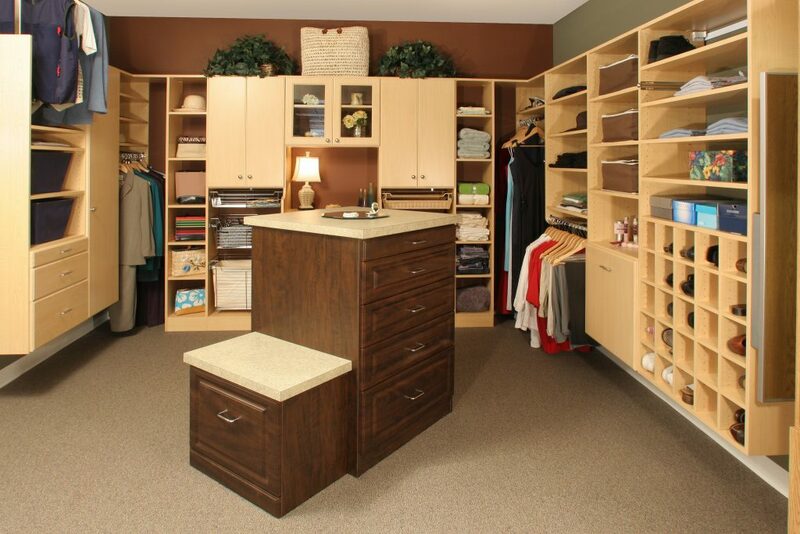 Walk-in closets are often large, open spaces, but can quickly become cluttered and cramped. 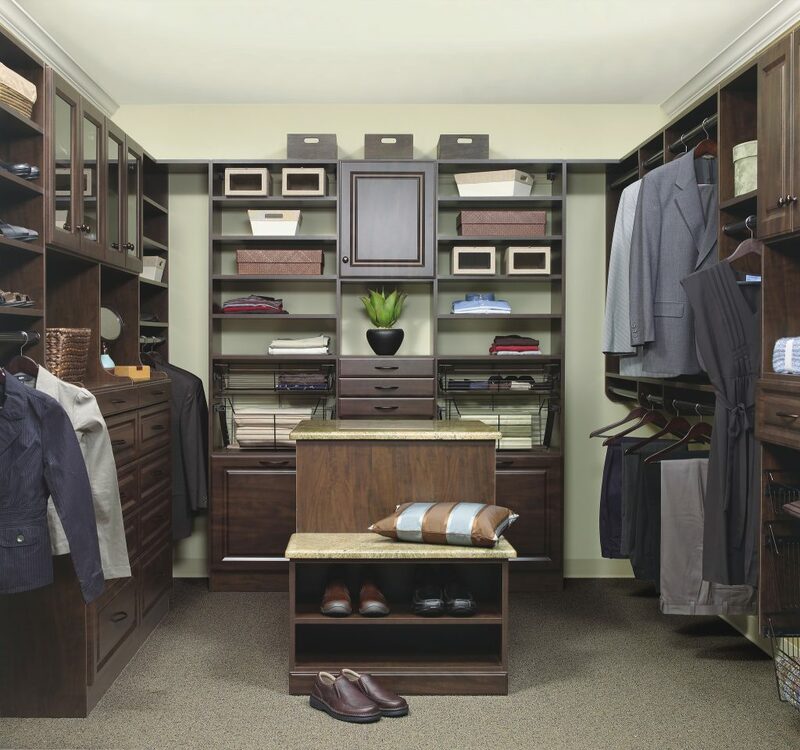 When organizing clothing and other accessories in your walk-in closet, it is still critical to use space efficiently. A general rule for good use of your home environment is to make your spaces work as hard as they can. The experts at More Space Place of Jacksonville can help you do exactly that! Here’s our guide on the various ways in which a walk-in closet can be used to creatively and effectively store everything that will help you get ready to meet the day. One of the most important pieces of advice we can give you is to take advantage of the vertical space in your closet. The top of your walk-in closet is a perfect spot for high storage that can be used to hold seasonal items. In the summer, keep your bulky winter coats out of sight and free up the space for your warm-weather outfits. With your high shelves occupied with off-season items, you’ll want other sets of shelves in your closet about waist-height up for those more frquently used items. Jeans, sweaters, and non-delicate tops can be easily organized here. You could also consider using shelves to organize your shoes instead of letting them clutter on the floor. For particularly large walk-in closets, consider an attractive centerpiece such as a countertop island with accessory shelving or a comfortable bench. The countertop provides even more space in which to store your valuables. We can install jewelry drawers or hooks to organize belts, ties, scarves, and more. However, a bench comes in handy if you want to sit to put on your shoes or want a relaxing vantage to pick out your outfits. Rods are a supremely helpful space saver for any walk-in closet. Not only do they serve your needs by keeping important clothing wrinkle free, they allow large quantities of outfits to be placed visibly and accessibly – all without using very much space! Rods can connect between cabinets or shelves, and they can be stationed at intervals down the wall, shirts hanging above pants, or whatever arrangement works best for your walk-in closet. Valet rods are a helpful addition to any closet that can allow you to hang clothing specially selected for display, or simply to remind yourself what you have planned to wear for the day. These can extend and retract as you need them to, so you don’t have to worry about the space they take up. Walk into Our Jacksonville Location! Whatever closet questions you may have, More Space Place has the answers! Contact us today for a free consultation and take the first step toward owning your space and making it work for you.